What Lean Startup enlightens us are more about the spirt than methodologies. 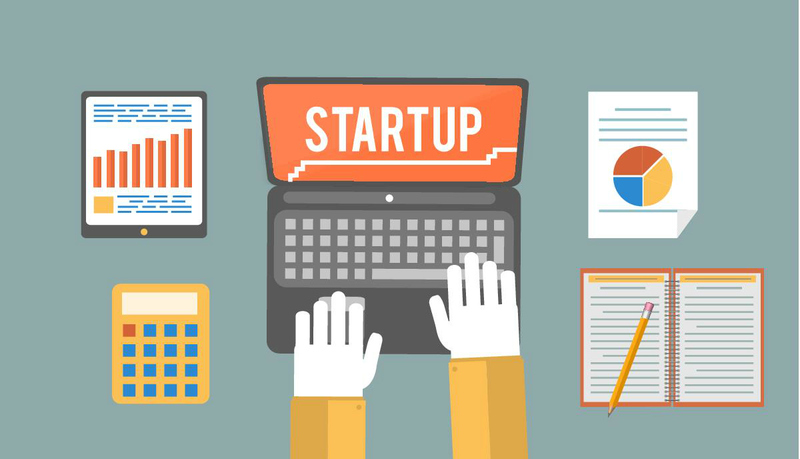 As Steve Blank wrote in Harvard Business Review -- the lean start-up movement hasn’t gone totally mainstream, however, and we have yet to feel its full impact, what we should do right now is to take the power of Lean Startup and apply the concept into e-commerce business. One of the spirits of Lean Startup, from my perspective, is never spending any penny until knowing each step well. To one’s relief, with more and more free-trial softwares or online resources one has the access to efficiently and affordably, building a mockup website consisting essential functions and modules to collect customer feedback is no longer a mammoth project. These resources include Wordpress for websites, Dreamstime for quality photos and PayPal for payment gateway. Of course, there is another way to test if the product will become popular and make customers take out their pockets, one of them being joining marketplaces, Amazon for example. Nevertheless, both aforementioned ideas are the same in essence — by eliminating those unnecessary expenses and wasted time spent on building a complete website, one will retain more energy and financial resource to make changes in the middle of the path. Another point worth mentioning is that one tends to dogmatically hold on to his assumption toward customers’ sentiment. In term of empathy, standing in one’s shoes is relatively hard. It takes time to receive professional program to cultivate. As a result, in order to take efficient movement, one can make use of Split Test, or so-called A/B Test which has long been adopted in marketing campaigns, to gradually understand what customers really desire for and what their preference are. There is no shortcut to fully understand customers. Under no circumstance do I indicate that one can figure out customers’ shopping habit and favorable selection thoroughly. Only when carefully but boldly putting the puzzle pieces together can one see the first draft and, then, work on to garner another more clear picture. It takes time as well. However, when it comes to efficiency, Split Test dwarfs the approach of becoming an empathy master. Customer-centricity is one of the defining factors leading to a successful e-commerce. However, again, it not that easy to understand what customers are thinking about. Thankfully, nowadays there are some methodologies or software assisting with accumulating customer insight. For one, Google Analytics aim to provide a comprehensive customer journey on one’s website and offer more insightful data to accurately predict customer behavior. Another commonly used technique is “Get Out Of The Building”. It does sounds weird but It is literally getting out of your building to survey potential future prospects according to your product types and features. It is simple but powerful. More importantly, the benefit of having face-to-face conversations is that the information is all first-hand materials which is much more trustworthy than a secondary one. Lastly, by focusing customer development, one can start accumulating the power of word-of-mouth, increase customer retention rate, and further boost customer lifetime value. At the end, create a better customer experience. Instead of designing a complete but untested product, one should incrementally build up products (or website) based on customer feedback and, then, apply the feedback immediately into next version of design. While this concept has been adopted in the software development for a while, it is still not common in building an e-commerce business. In the past experience, we always tried to present a perfect product with all the features we subjectively think customers will love it. The truth is, however, most of the feature or function does not solve customers’ pain points. In other words, they are not willing to pay any dollar even if there is a fancy and cool product provided. In order to solve this difficulty, minimum viable product, also termed MVP, is an idea worth carrying out -- using the existing resources to design preliminary products (or website) with primary values you’d like to present to customers and discarding redundant functional design if any. The last but not the least, how much patience and passion one has to continuously start over will determine the remaining winners. Although something unexpected could cruelly ruin one’s effort in a second, the best way to deal with it is to embrace the failure until you make it. Nothing special, just do it again and again.